The legendary Jeep Wrangler model is more capable than ever in 2014. With special edition models like the Rubicon X and Freedom III editions and many more, the 2014 Wrangler promises to be a vehicle that off-road Jeep enthusiasts and new Jeep customers will appreciate. The available Rubicon X model gives the Wrangler even more off-road capability, and available 32-inch tires give the Sport model an even more engaging, enjoyable driving experience. The trail kit proves to be very useful, with D-rings, a tow strap, gloves, and a carrying bag. Chrysler Group's 3.6-liter Pentastar V-6 engine, two-time winner of the prestigious Ward's 10 Best Engines award, delivers 285 horsepower and 260 lb.-ft. of torque. It is developed to provide a broad torque band with a focus on low-end torque, an essential trait needed for extreme off-roading. Engineers also designed the oil sump to provide oil to the pump even at extreme vehicle angles, and the alternator was placed up high so Wrangler can maintain its water-fording capabilities. 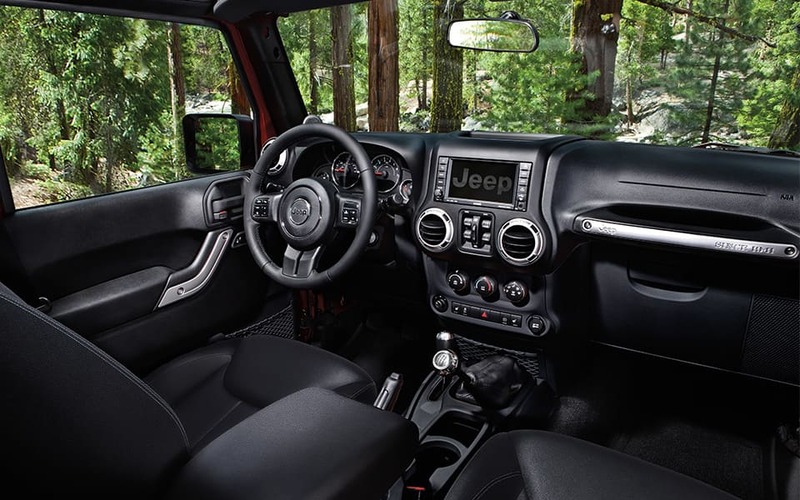 The 2014 Wrangler comes standard with a six-speed automatic transmission or a five-speed manual transmission. 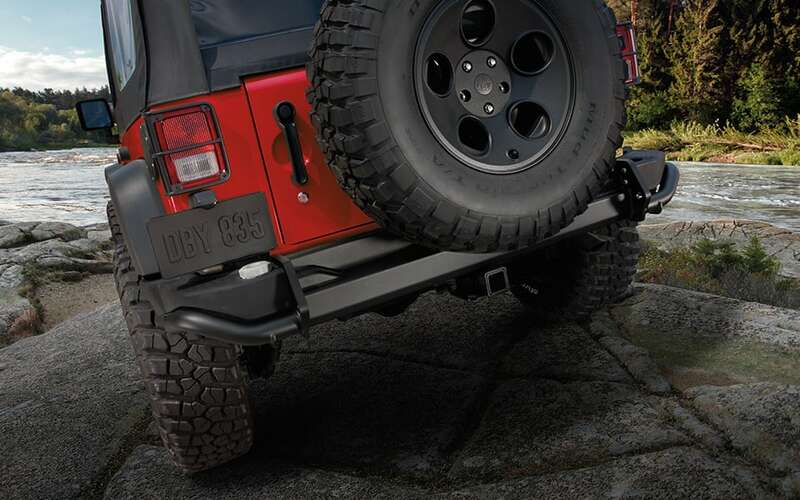 The 2014 Jeep Wrangler is available with a wide variety of safety and security technology features. Standard electronic stability control (ESC), electronic roll mitigation, trailer-sway control, Hill-start Assist and brake traction control are among two dozen available safety and security features. Jeep safety systems are engineered to improve handling and accident avoidance while providing occupant protection, allowing Jeep Wrangler customers the ability to safely go wherever you want to go. The 2014 Wrangler keeps drivers and passengers connected through the Uconnect interface and Bluetooth technology through an 6.5-inch touchscreen. The Jeep Wrangler Rubicon X brings added off-road capability above the already legendary Rubicon model with a winch-capable bumper, wider rock rails, and higher level of standard content. The Jeep Wrangler Freedom edition has been named and re-introduced for the 2014 model year due to popular demand, and it is sure to delight with a unmatched combination of features and value. For more information regarding the 2014 Jeep Wrangler, or to take one for a test-drive, call us today!